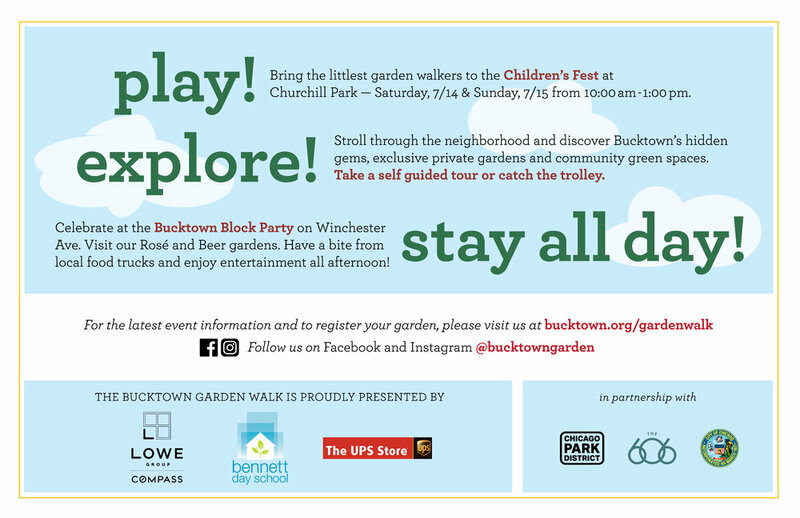 CELEBRATE BUCKTOWN AT THE 2018 BUCKTOWN GARDEN WALK & BLOCK PARTY! Bucktown gardeners, we invite you to participate in Bucktown’s annual celebration of urban gardening. The Garden Walk is our neighborhood’s largest event and biggest fundraiser and we need you! Your participation will make an impact on our community. We welcome all gardens and urban outdoor spaces. Sunny or shady, rooftop or parkway, edible or ornamental—Show off your green space! Register your garden online today.